KUALA LUMPUR (Sept 12): Datuk Seri Anwar Ibrahim (pictured) wants to reassure foreign investors who may have been spooked by the recent scrapping and delay of a few high-profile multi-billion ringgit mega projects, according to a report by Bloomberg. 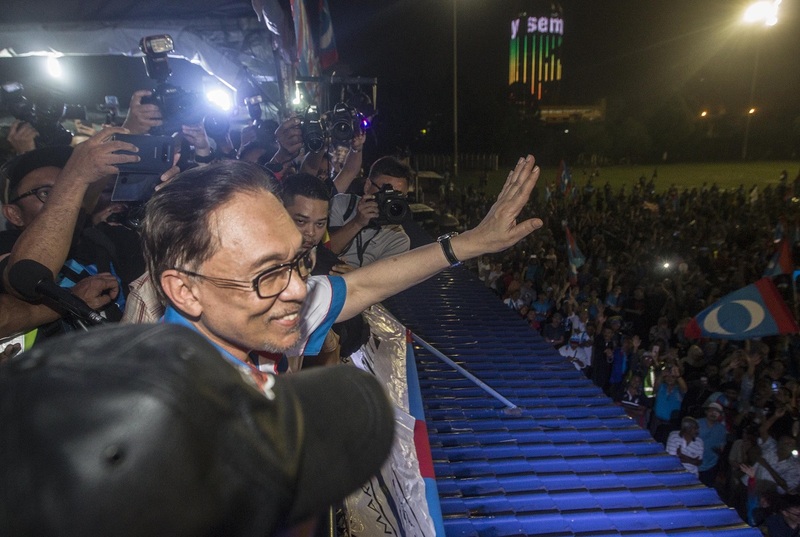 Anwar told Bloomberg Television that Putrajaya’s review is confined to “dubious” projects approved under the previous administration and shouldn’t be seen as a snub to China. “It’s confined to these companies. Mahathir took the initiative, visiting China, assuring them that the bilateral relations, trade, investments with China must and will continue,” he told Bloomberg. It was reported last month that Prime Minister Tun Dr Mahathir Mohamad cancelled East Coast Rail Link (ECRL) and two gas pipeline projects owing the government's poor fiscal position. And last week, Malaysia and Singapore agreed to delay the Kuala Lumpur-Singapore High-Speed Rail (HSR) until May 31, 2020. “Mahathir represents the sentiments in the country that firstly we cannot continue with these mammoth projects at a time when the economy is struggling,” Anwar told Bloomberg. Last month, cabinet members such as Federal Territories Minister Khalid Abdul Samad also commented on the issue, saying that the cost of the ECRL was too high and the agreement is a lop-sided deal. "It is the outcome of the discussion, not that we do not want to carry out (the ECRL project), but the cost is just too high. We had to also see whether what Najib (former prime minister Datuk Seri Najib Tun Abdul Razak) had negotiated before was really beneficial to the country or not. "Many have already declared that it (the ECRL agreement) is biased. If China agrees to have the agreement renegotiated for the good of our country,” said Khalid. Meanwhile, Deputy Defense Minister Liew Chin Tong said that the KL-Singapore HSR and the ECRL projects cost too much and mean very little to Malaysia in terms of connectivity and regional strategy.